Start GNOME Disks (also called Disks). For example, you can press the Super key, then type disk, then choose Disks. Choose Applications ▸ Utilities ▸ Disks. 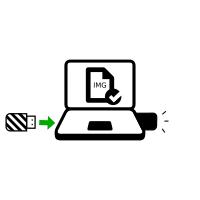 Plug in the intermediary USB stick on which you want to install Tails. A new drive appears in the left pane. Click on it. 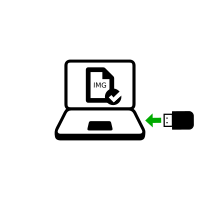 Click on the button in the titlebar and choose Restore Disk Image…. If your version of GNOME Disks is old it might have a button instead. Click on the button and choose Restore Disk Image…. 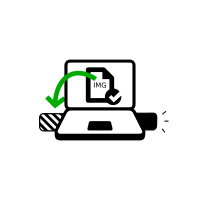 In the Restore Disk Image dialog, click on the file selector button. 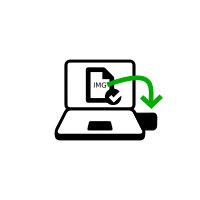 If the image has an .iso file extension, it is not the correct image. Please go back to the download step for installing from Linuxdownload step for upgrading from Tails. Click on the Start Restoring… button. In the confirmation dialog click Restore. Depending on your Linux distribution, you might be asked for your administration password. After the installation is finished, click on the button.